1. Do I Have to schedule an appointment? Our 2D imaging examinations such as OPG at Bundoora, Caulfield and Bendigo do not require an appointment, however the more complex Cone Beam CT scans do require an appointment - the reason for this is depending on what your doctor has requested, some CT scans can take up to 30 minutes to process after the scan has been taken. We ask that you please call your preferred VDIG location and schedule an appointment in order to avoid long wait times both for you and other patients. Appointments for Cone Beam CT scans allow us to offer you a service of the highest quality service. We will do our best to work with your schedule and ours to make your visit as convenient as possible. 2. How do I Make an appointment? Our Bundoora, Caulfield and Bendigo rooms are open between 8.30 – 5.00pm Monday – Friday, at all other sites we work via appointment only. We are also open on Saturdays at Caulfield and Bulleen. Please call individual locations to arrange for an appointment for your specialist dental x-ray. We have free car parking available for all our patients. Don’t forget to bring your referral and valid Medicare card to your appointment. 3. What are my x-rays / scans going to cost me? Standard dental x-rays such as OPG scans are Bulk Billed to Medicare, with no out of pocket expenses incurred by patients however most CBCT scans incur a fee payable on the day of the scan, with a Medicare rebate available to patients who have been referred by a dental specialist such as an orthodontist, oral maxillo-facial surgeon, periodontist or any registered medical practitioner. No Medicare rebates are available when referred by general dentists, if unsure if you qualify for a rebate... just give us a call. Don’t forget to bring your valid Medicare card to the examination. 4. What is a Cone Beam CT scan? 5. 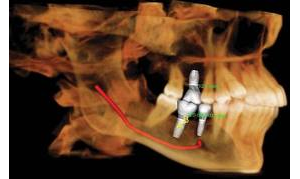 Why is CBCT better for patients compared to alternative imaging methods? 6. Are dental x-rays safe? At VDIG we use the most advanced Imaging Equipment and procedures available to provide you with the very best in patient safety and comfort. Our experienced imaging are up to date with the latest imaging trends both locally and overseas and all take part in Continuing Professional Development programmes. Although not required by state law, our equipment are regularly inspected and tested by Radiation Safety Testers to ensure that they are working to their maximum safety potential. As in many areas of our lives, there is a certain risk involved in x-rays. Your doctor has decided that the benefit of x-rays far outweighs the risk. Whilst dental x-rays involve very low doses of radiation, there are several things we do to reduce the dose even further. These include adequate collimation and shielding, correct and appropriate performance procedures by competent and trained personnel. 7. How much X-ray exposure do I get? Attempting to express the x-ray dose in a meaningful measure is difficult. We can measure the dose at the point of entry (skin dose), within the exposed tissues (absorbed dose) or the dose distributed over the whole body (effective dose). The effective dose compares x-ray dose to the equivalent background exposure we receive in the everyday environment. A typical orthodontic x-ray will expose your body to approximately 1.5 days of background equivalent exposure. 8. Do I need to 'prepare' for my dental x-ray examination? No preparation is required. Removal of metal objects such as jewellrey, piercings from ' the neck up' is required. 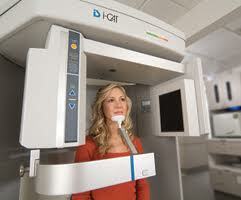 OPG scans usually take less than 5 min, CBCT scans take a little longer, you ususlly spend about 15 minutes with us. 9. When will my Doctor get my images / results? When you leave our facility, the results may be only partially complete- this is certainly the case for Cone Beam CT scans which could take up to 30-40 minutes after you leave to prepare. After putting any finishing touches to the images they are checked and delivered to the referring doctor with a radiological report. This whole process may take a few days. Your referring doctor will then use the results in treatment of your specific case.